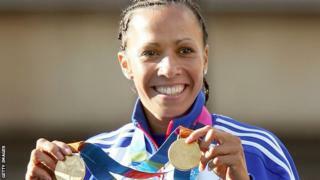 In 2004, middle distance runner Kelly Holmes was named Sports Personality of the Year. Holmes marked her final major championships, the Athens Olympic Games, by powering to two gold medals in the 800m and 1500m. She retired in 2005 and was subsequently made a Dame for her numerous athletics achievements.